I’m convinced at this point that Russia is just a giant film studio, designed to export viral videos. Either that or something’s in the water, because here’s a video of a giant bear riding in a motorcycle sidecar on a public street. 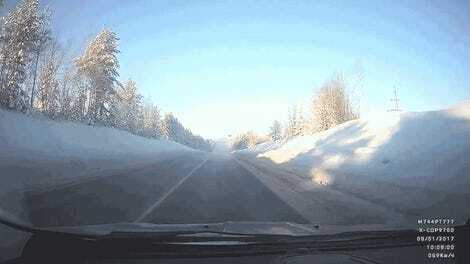 Details on this video are scarce, but the description says this Totally Normal Nothing To See Here event occurred in Syktyvkar, Russia, the capital city of the Komi Republic (a “federal subject” of Russia). It’s clear from the ridiculous bear-themed sidecar that this is some sort of stunt, and India.com says the animal is indeed part of a traveling circus run by a motorcycle club called the Polar Wolves bike club. 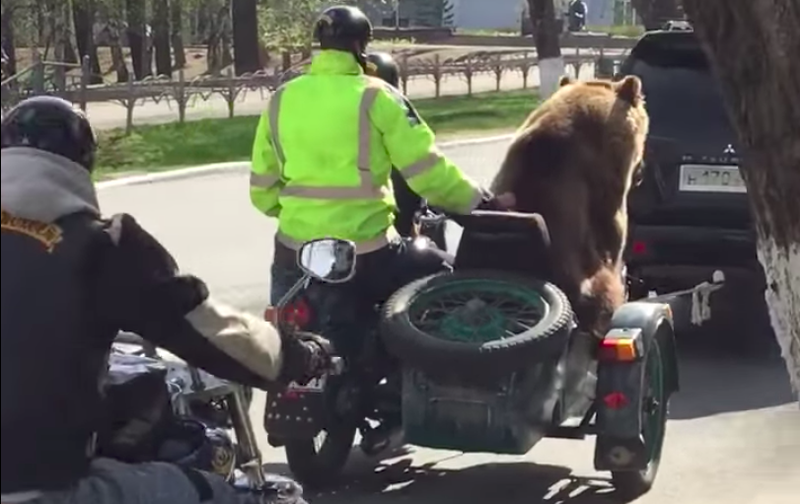 As messed up as the whole thing is, I will say: that bear looks incredibly comfortable in that sidecar.